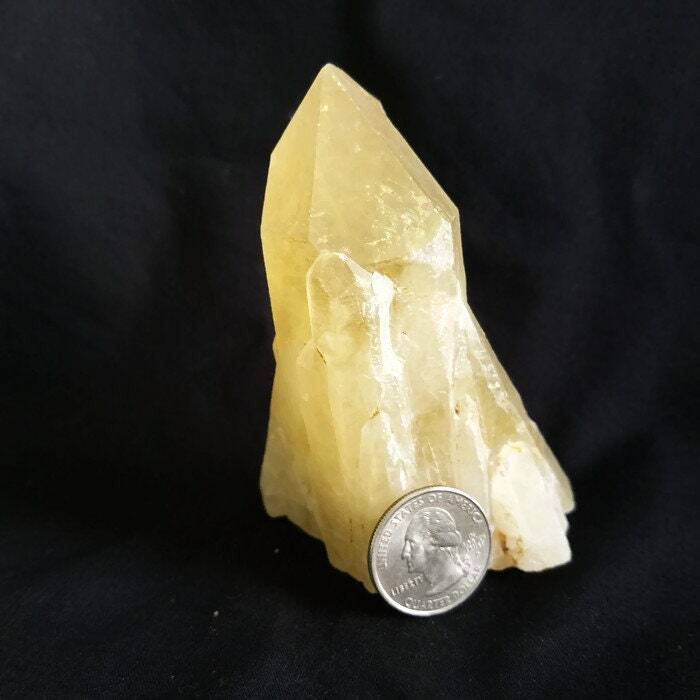 This is a very interesting crystal because it has a rare five sided main face known as an Isis crystal. 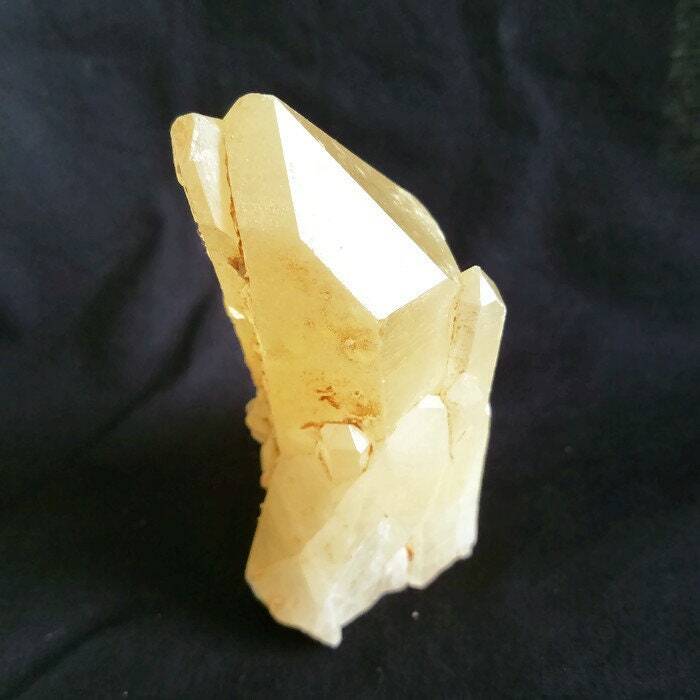 It is a goddess formation which helps connect to the feminine and Mother Earth. 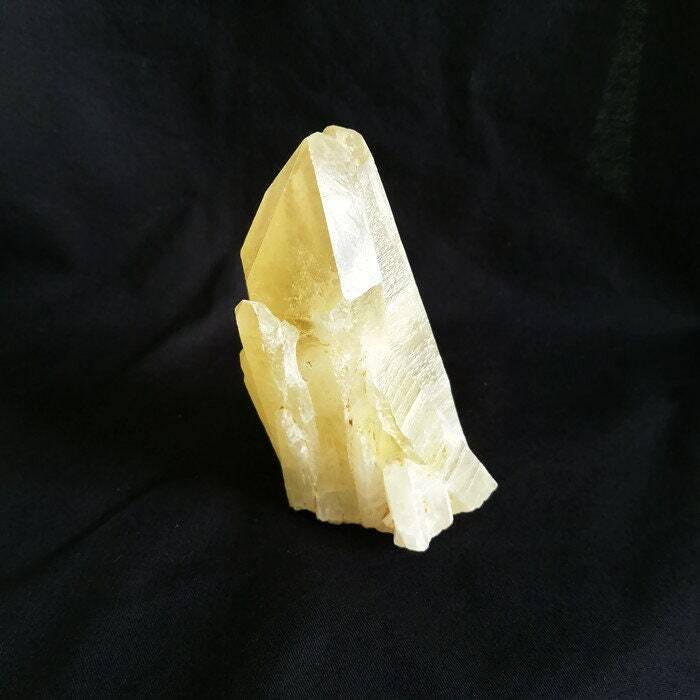 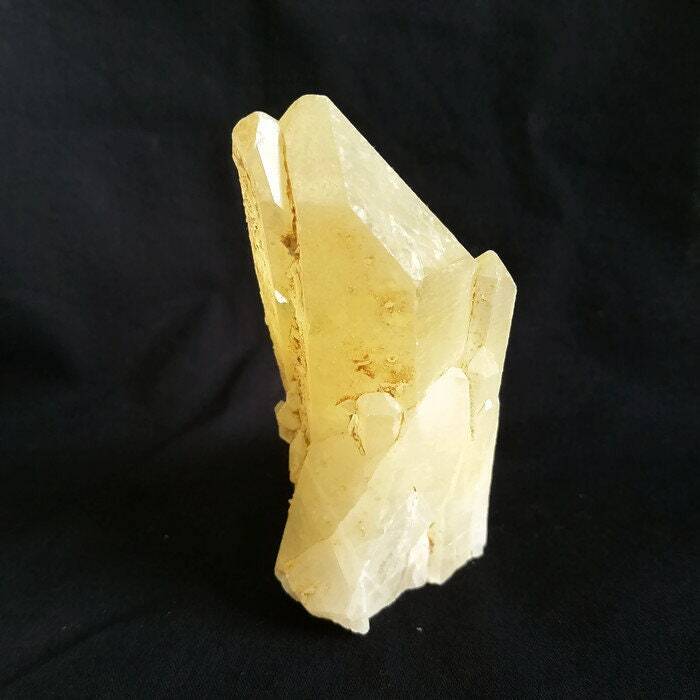 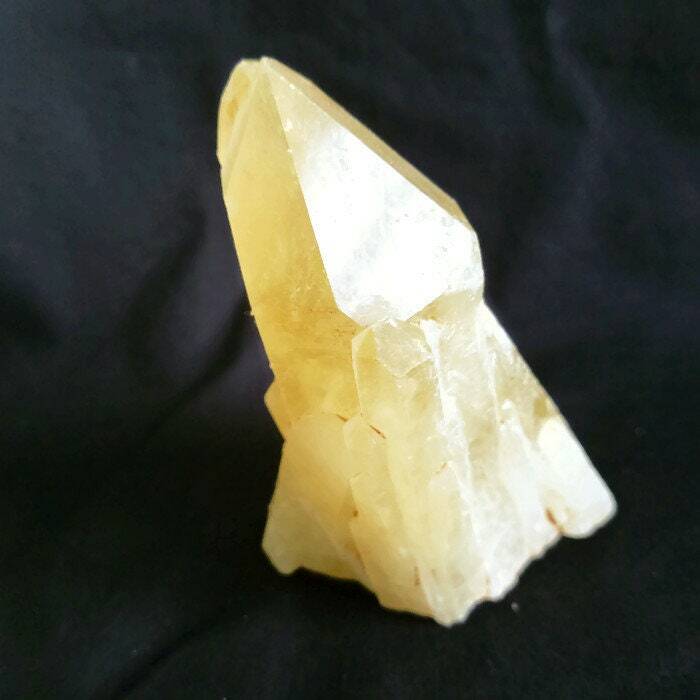 The small crystals on the base with one large crystal is a teacher crystal formation. 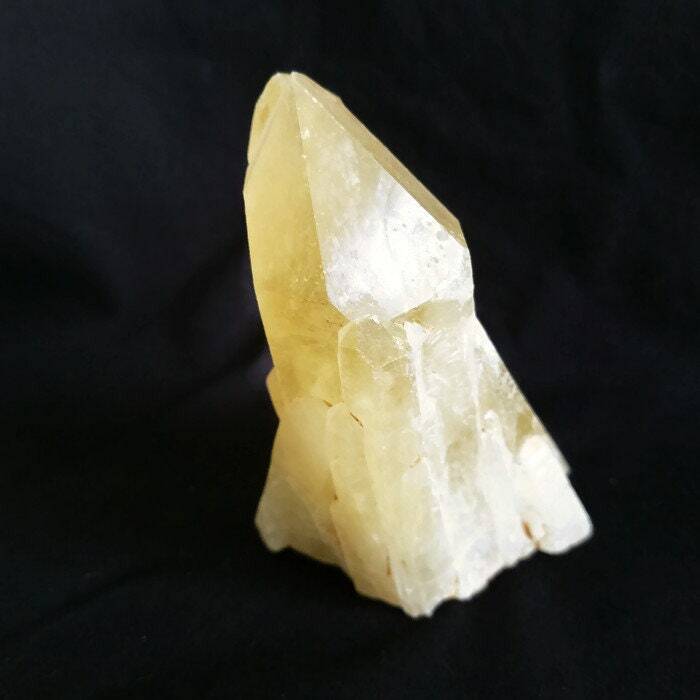 Teaching crystals can help us grow with knowledge they give. 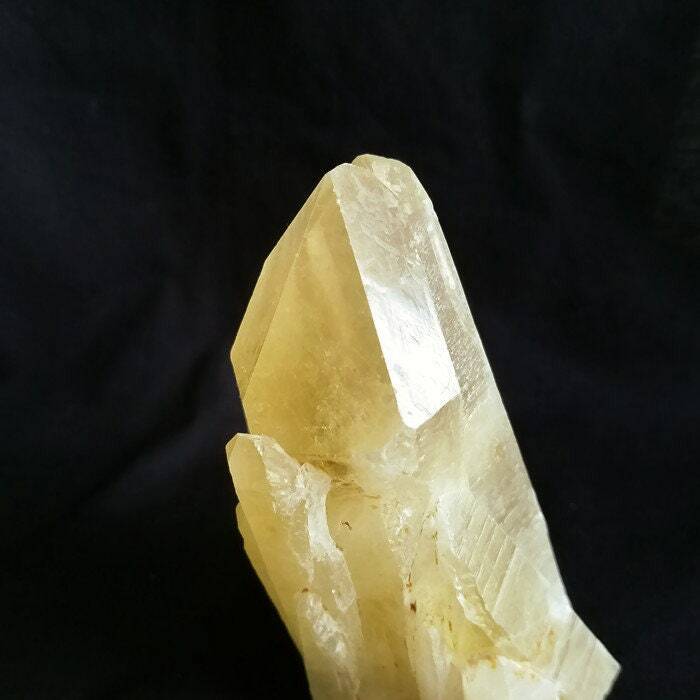 This particular crystal may help teach the feminine aspects and help connect through the heart chakra. 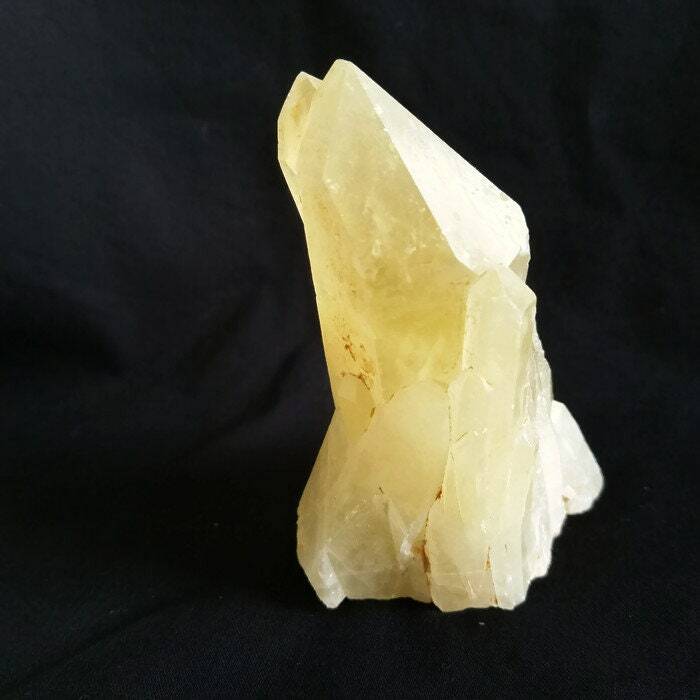 The green color of this cluster activates and helps connect to the heart chakra.